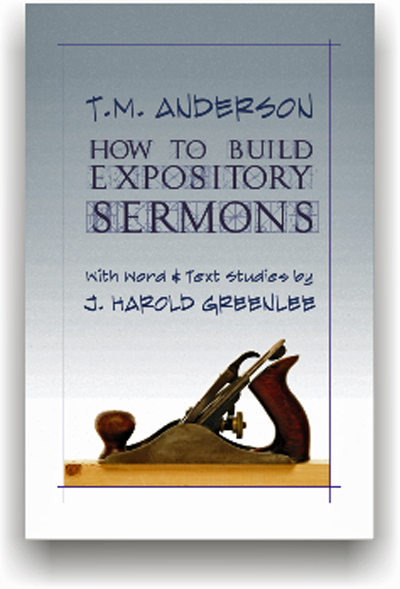 TM Anderson was known as the “Prince of Expository Preachers,” and in How to Build Expository Sermons, he demonstrates his skill with this very effective method. But let not the title of this book lead the reader to conclude that it will be of interest only to preachers. Far from it! This is a volume rich with the scriptural gems mined by T.M. Anderson. While it aptly fills the need as a guidebook for those who wish to hone their skills in the pulpit, simply reading these chapters is like a breath of fresh air. It is like sitting in the congregation while the preacher delivers the message of the hour. And the word and text studies contributed by J. Harold Greenlee, a colleague of Anderson’s, make this virtually two books in one. Dr. Greenlee’s skill with Greek earned him a name highly respected among Wesleyan scholars and laity alike. Over and over again he proved his capability to express complex theological concepts in a manner any reader, clergy or layman, can easily understand, and this book reaffirms his skill. In this volume, his dissection of John 3:16 is masterful. In my personal opinion, the sections explaining “the Word” from John 1 and “Sinning Christians” are so enlightening and uplifting that they alone are worth the price of the book.